BenevolentAI has made its mission to apply technology – and specifically AI – to scientific discovery. It is especially interested in big data and the use of artificial intelligence to enable new drug discoveries. We catch-up with Co-Founder and Director, Ken Mulvany, to learn more. How do AI technologies enable new drug discoveries? Drug discovery relies heavily on access to useable knowledge. However, despite the huge growth of information over the last decade, the process of scientific discovery has not changed in over 50 years. 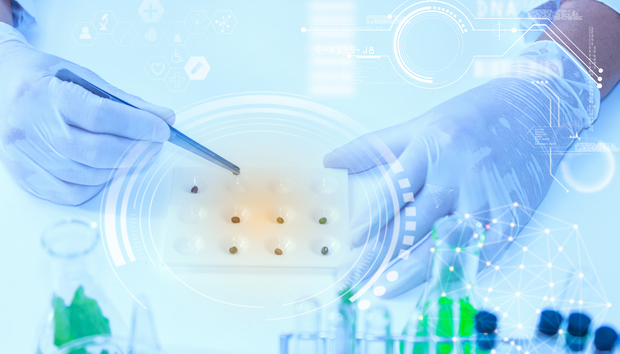 The early stages of the drug discovery process can be time consuming and inefficient due to the vast amount of data that is out there, which scientists use to generate hypothesises for new drugs. AI enables BenevolentAI to conduct mass analysis of the exponentially growing amounts of scientific data, which is humanly impossible for scientists to use effectively without AI assistance. Through the results the AI reveals, scientists are able to take that augmented insight and generate usable deep knowledge which will radically speed up scientific discovery. You state the scientific data is ‘fragmented’ - what are the challenges in collating this enough to apply relevant AI techniques? The challenge for the scientific community is to keep on top of all the scientific data and information that is produced. For example, there are 10,000 updates a day on PubMed alone. The data we analyse with our unique Judgement Augmented Cognition System (JACS) is drawn from the huge amount of publically available resources and research such as PubMed and from licensed private data sets. The biggest challenge we face is to ensure we keep up with the rate of new information being produced, so our JACS system can analyse it. If anything, there’s too much data out there at the moment which presents a huge challenge to medical scientists who are simply unable keep up with the production of new knowledge and correlate it to the vast amount of existing knowledge. It’s not a question of there being enough data, but rather can we keep up with the rate at which it’s being produced? With our AI and scientists working side by side, we’ve managed to make this possible. With the appointment of Jérôme Pesenti what areas do you intend to develop outside human healthcare? One of the applications of our technology, and its first validation, has been in the areas of bioscience and drug discovery. As the technology develops we will expand into other areas where scientific data can be optimised by AI such as veterinary medicine, nutraceuticals, cosmeceuticals and agro technology. Jerome’s background and expertise will help us to realise our vision of harnessing the power of AI to enhance and accelerate scientific discovery. In fact, we want to show that AI can be a force for good and can be harnessed for the wider benefit of society – helping humankind to solve some of the biggest challenges it currently faces. How much of a challenge is forging the partnerships necessary to cross disciplines? Forming partnerships is a crucial aspect when crossing disciplines, especially when combining healthcare and technology. At BenevolentAI, we think it’s important these two sectors work as closely as possible with each other. That’s why our scientists, researchers and technologists sit and work side by side with each other. In order for AI to truly have an impact, it needs to have humans taking that insight and knowledge and applying it to problems in the real world. Due to general misunderstanding AI still gets a bad press – is it a challenge for you? We believe AI technology and machine learning can be harnessed for ‘benevolent’ ends. AI and machine learning are not designed to supplant human intelligence but instead augment it. What we’re trying to do is to show problems that AI can solve, once you can do this, then the perception of AI as a benefit to society should come to the fore. Along with this appointment the company has undergone a big restructure recently - how do you see BenevolentAI developing short, medium and long term? We are focussed on delivering our key milestones in the short and medium term – further licensing deals, delivering our own drug development programme and development of the technology beyond human health in the long-term. Why is the UK a centre for AI innovation? The UK has such a rich history of innovation and leading from the front that for us, it made perfect sense for it to be the place we started. Our HQ is in London in the Kings Cross tech cluster known as the ‘Knowledge Quarter’ – we’re a neighbour of other innovative brands and respected academic institutions in the technology space including Google, Facebook, The Alan Turing Institute, The Francis Crick Institute, Wellcome Trust, Digital Catapult and University College London. In the UK, we’re able to tap into this rich source of knowledge that already exists here and use it to enhance our own work. AI will be integral to every aspect of life in the near future: every sector, every business, every human - future success will depend on and be driven by the ability to understand the knowledge represented in complex information. What will be crucial is to ensure AI and machine learning do not supplant human intelligence but instead augment it by bringing the power of humans and machines together. This is exactly our approach and we have already validated our technology (thorough our work in finding treatments for ALS). It’s a very exciting time to be in AI. Why is the UK such a centre for AI innovation?